In the wake of the Newtown tragedy, the Obama administration proposed a series of gun control recommendations and policies. His four-point plan includes "making schools safer" and "increasing access to mental health services." The plan states "We need to make our schools safer, not only by enhancing their physical security... but also by creating safer and more nurturing school climates that help prevent school violence. Putting school resource officers (specially trained police officers) and mental health professionals in schools can help prevent school crime and student-on-student violence." 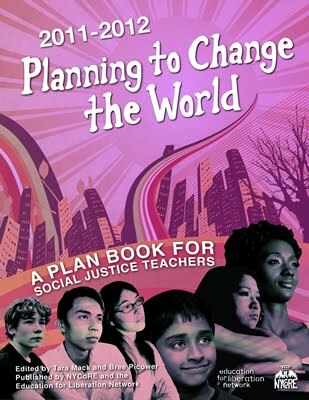 Teachers for Social Justice (TSJ) is an organization of educators who are committed to education for social justice. We fight for classrooms and schools that are anti-racist, multicultural, multilingual, academically rigorous curriculum that is both caring and critical, and grounded in the experience of our students. We believe that schools should indeed be a safe space for students, families, teachers, and all community members. While TSJ supports the call to "make schools safer,” we must question what makes our schools "safe." We do not support the idea that police in our schools, and the criminalization of our students, creates a “nurturing school climate.” The increased reliance of law enforcement and school resource officers often translates school discipline into police records for students – indeed an average of 25 CPS students per day are arrested on school grounds. These arrests and out-of-school suspensions disproportionately affect students of color, primarily African American and Latino students, and greatly increase the chance that these young people will enter the criminal justice system. Although most of the publicized school shootings have been by white shooters in mostly white suburban neighborhoods, the proposed increase of police in schools will only continue to criminalize African American and Latino city schools. These close ties between schools and police work directly to strengthen the school-to-prison pipeline. Obama’s plan calls to “put up to 1,000 more school resource officers and counselors in schools.” TSJ believes we must act now to ensure that these thousand, and more, are all counselors, not police. We know schools are safer without cops in them. We know schools are safer when they have enough counselors, mental health workers, supportive and supported teachers, and relevant and engaging curriculum. We know we must fight for the “nurturing school climate” all teachers and students deserve—a climate that dismantles the school-to-prison pipeline by saying No to Cops and Yes to Counselors.